The Hyundai Carlino SUV concept was first unveiled at the 2016 Auto Expo in February 2016. Since then Hyundai has been hard at work prepping the Maruti Brezza rivalling sub-4-metre compact SUV codenamed QXi for its launch in India. 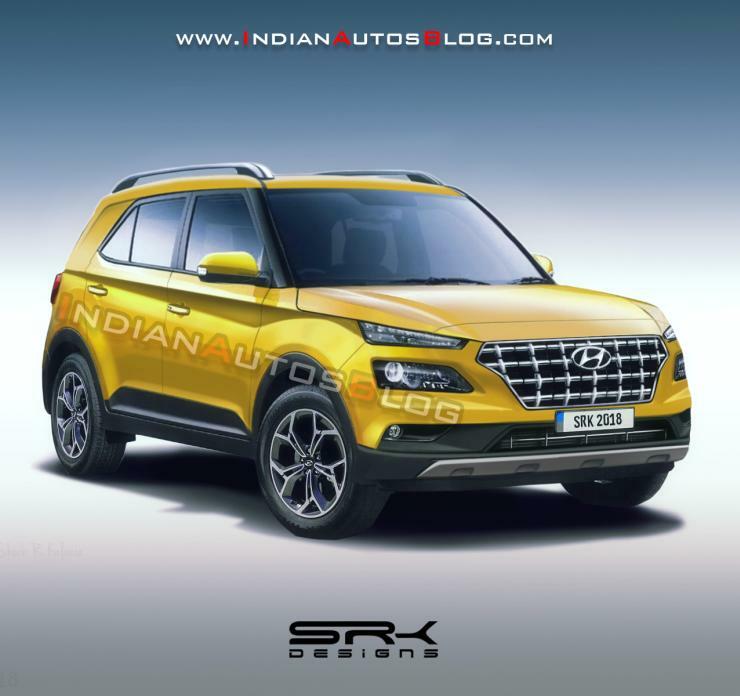 With the Hyundai QXi set to arrive on Indian roads in April 2019, here are six different renders that show us how the SUV could look like when it arrives in India. 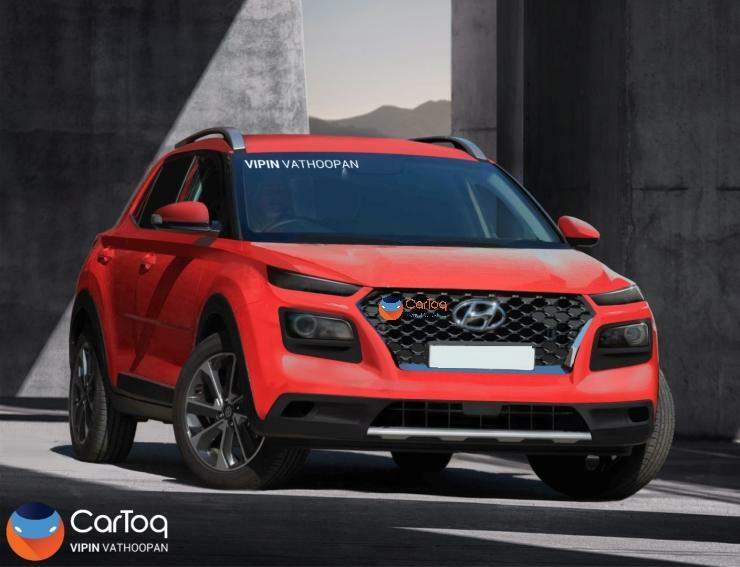 Cartoq’s render by our artist-in-residence Vipin Vathoopan imagines an SUV more in line with Hyundai’s current Fluidic Design 2.0 philosophy compared to the boxy design of the concept car. up front, the split headlamp design with LEDs flanking Hyundai signature cascade grille. The headlamps themselves are placed in a housing in the front bumpers. Character lines run across the sides of the Maruti Vitara Brezza rivalling Carlino connecting the headlights to the rear end of the car and giving the sides a sculpted look. Adding to the sculpted design of the sides are the pumped-up wheel arches. The rendering also sees the SUV get plastic cladding to give it a more rugged look. 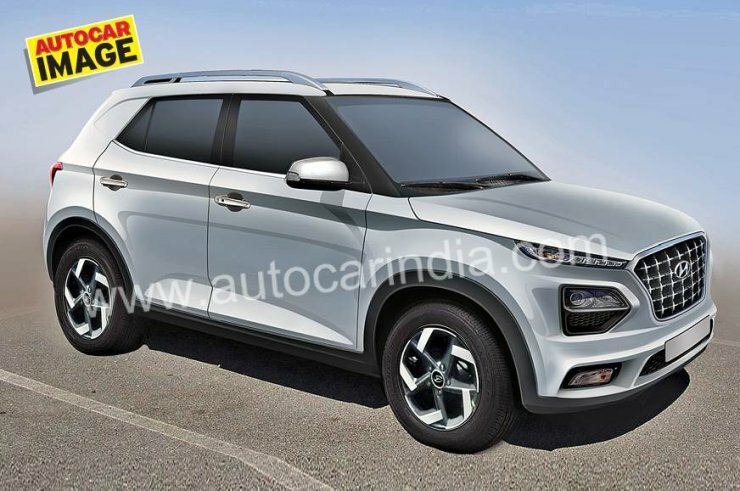 Autocar India rendering – The final version? Autocar India’s render of the Carlino imagines what the final production SUV will look like when it arrives in April 2019. 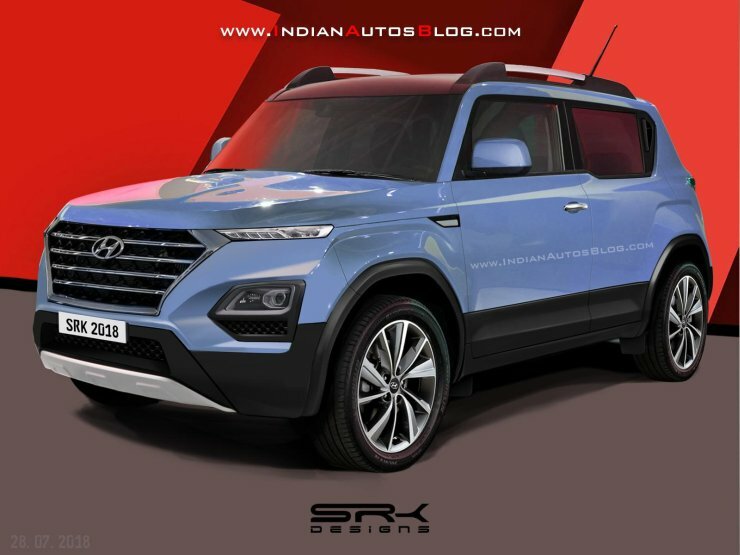 Autocar’s render looks more squared but features Hyundai’s design cues seen on the updated Creta and the Kona electric SUV including the cascade grille and the split headlamp Hyundai calls Composite Light. The sides of the SUV feature sport a large glasshouse for the passengers inside, which hints at a roomy interior. The window line features a rather familiar upward kink found on other Hyundai SUVs and cars. 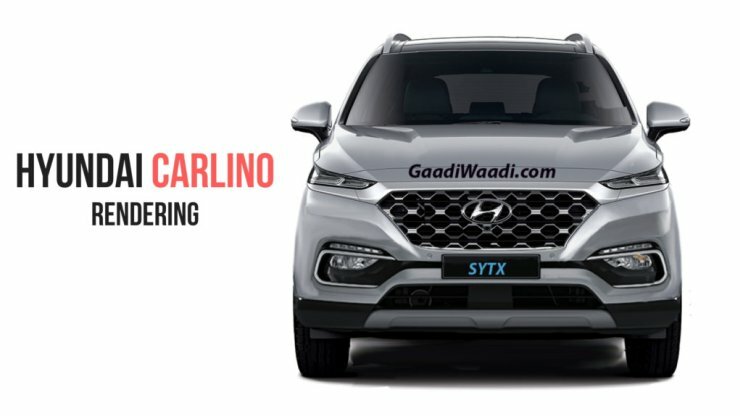 Indian Autos Blog’s (IAB) first render of the Carlino/QXi was based on the concept and looks quite similar to the SUV seen at the 2016 Auto Expo. However, the SUV has lost quite a few of its concept parts like the sleek LED headlights which make way for the split headlight design with LED DRLs on top and the regular headlamps situated lower on the front bumper itself. Other car parts that look like they have been normalised include regular sized wheels and tyres instead of the chunky units from the concept. The doors too are the regular units and not the suicide units found the show car, though the windows look to have been lifted directly from the concept. IAB’s Second Render – The Real Deal? IAB’s send render of the Maruti-Brezza rivalling Hyundai Carlino takes into account all the details seen on the camouflaged test mules of the QXi as it was being put through its paces as engineers determine the way it will drive when it arrives in 2019. The front end features the split headlamp design with cascading chrome grille and also features what appears to be a large skid plate on the bumper of the SUV. Other features include large wheels and pumped up wheel arches along with cladding running across the bottom on all four sides. Rushlane’s rendering of the Carlino is based on the concept car seen at Auto Expo 2016. 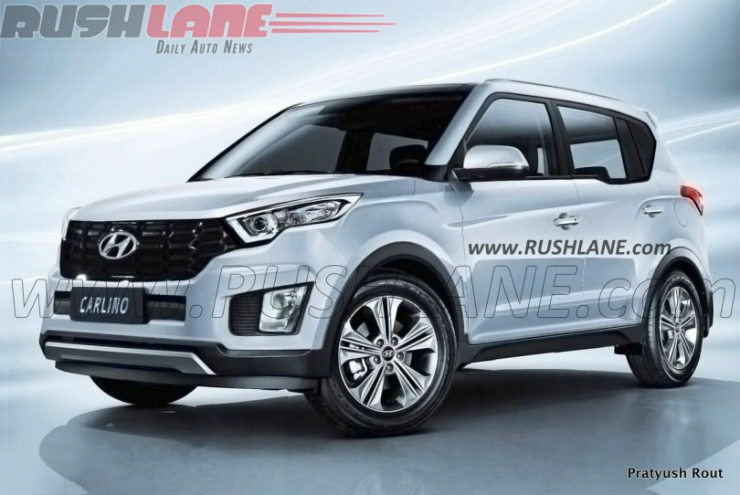 The QXi rendering by Rushlane shows the SUV in the same boxy shape as the concept but with some production parts like new headlights, fog lamps and alloy wheels. The new QXi is hardly expected to be like this render when it arrives in April 2019 as it does not take into effect the changes seen on the test mules of the upcoming SUV. Gaadiwaadi’s rendering – The Final Styx? Gaadiwaadi’s rendering of the upcoming QXi, which they claim will be called the Styx, is similar to updated renders seen above. However, Gaadiwaadi’s rendering looks a bit off, with its main light array sitting quite low on the bumper and the top slivers of light, in turn, being headlamps rather than LED DRLs. « Govt to SEIZE your 15 yr old car from where you park it!